While it may be tempting to discard unwanted kerosene down the drain or in a sewer outside, doing so harms the environment. Many regions do not accept liquid or fuel-based waste for trash collection, either. Check with your local or regional hazardous waste collection facility about options for disposing of fuel oils; the specifics vary by region, so be sure to check with your agency for accepted disposal methods, dates and locations. Some regions designate specific dates for turning in household hazardous waste materials. 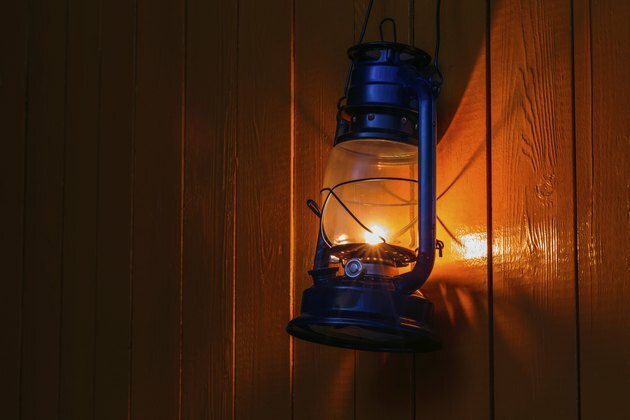 You may have old lanterns filled with kerosene in your shed. Visit a service station and ask an attendant if the station accepts unwanted kerosene for disposal. If they do not, ask if they know of others that may, or if they know of the approved collection method in your area. Service stations discard motor oil, brake fluid and other materials that require specific disposal procedures, so they may be aware of options for nearby residents as well. Read your local government website's page regarding waste collection, and then look for options regarding household hazardous waste. Kerosene is considered a household hazardous waste. If no options are given, call the agency or regional department handling waste pickup; a representative will know the proper disposal method accepted in your locality. Pour the unwanted kerosene into a fuel-approved clean container, clearly marked "kerosene," if it is not already in such a container. Do not reuse an old container that previously stored gasoline or any other substance, because a chemical reaction may occur. Cart the kerosene to the approved disposal location during hours the facility is open to accept discarded materials. Ensure the kerosene container is stable while you transport it, so it does not spill in your vehicle. How Do I Dispose of Mineral Spirits?